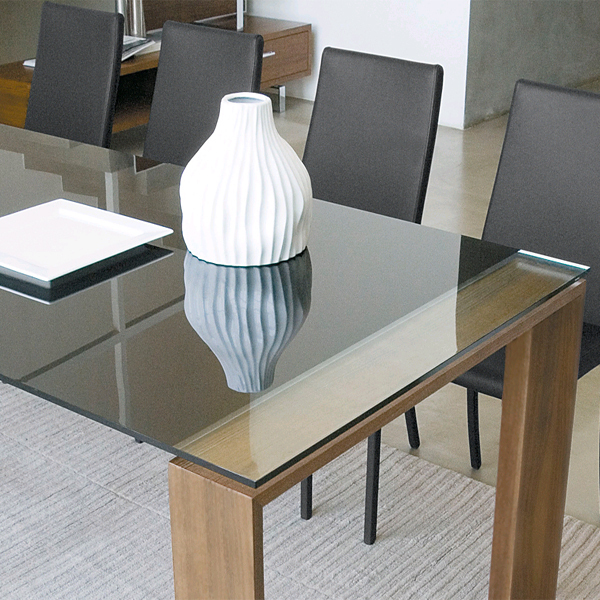 A beautiful contemporary dining table with a painted glass top. 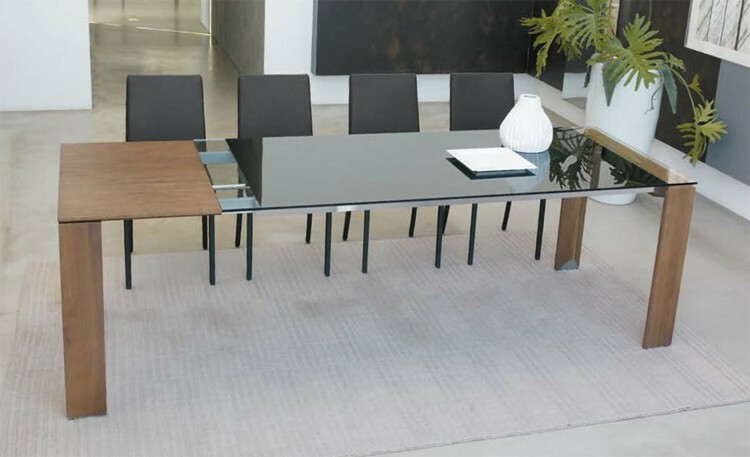 The ends of the glass are transparent so the legs can still be seen. 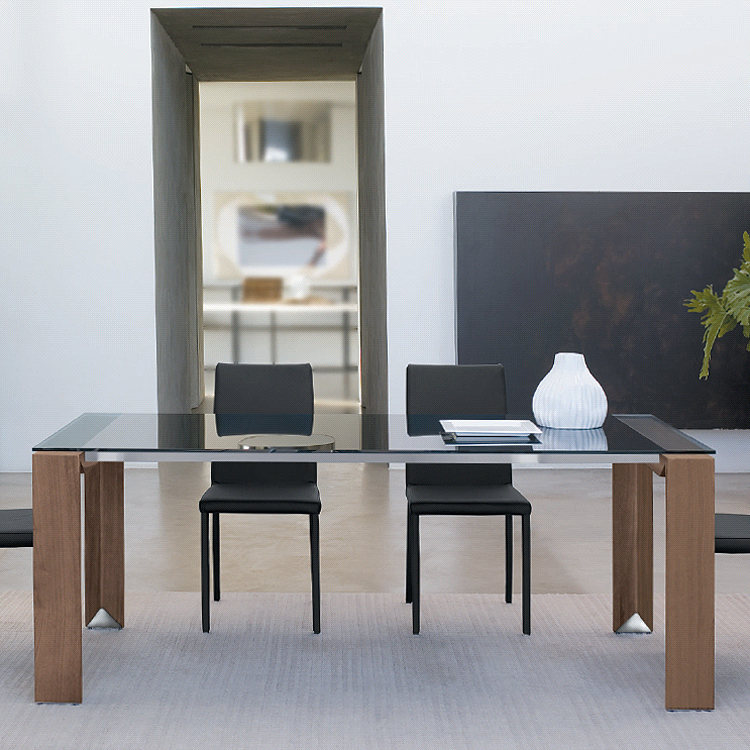 Single extension leaf and legs in wooden veneer or lacquered wood (see full range of color options below).